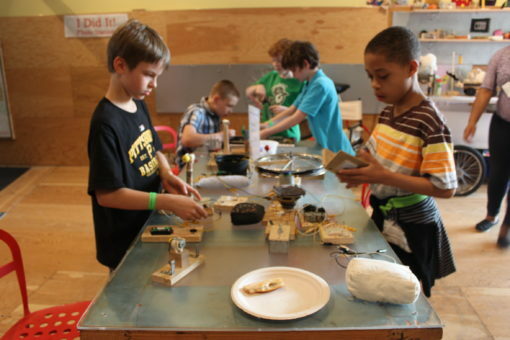 On May 9, we hosted another Youth Maker Night. 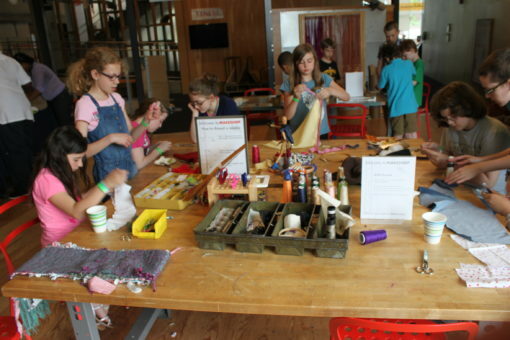 These events are a great opportunity for older kids to experience MAKESHOP without their parents or younger siblings. We can offer special creative activities that we can’t offer the daily Museum audience. This night’s special activity was making citra solv transfers. 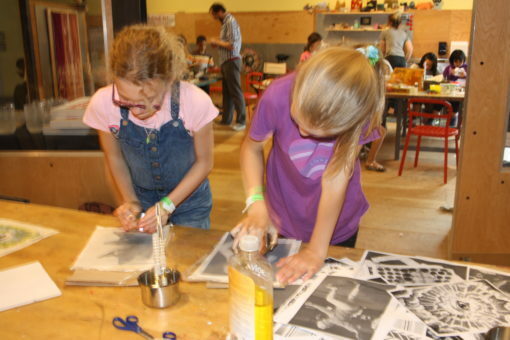 The kids learned how to transfer photographic images from paper to other materials such as fabric. 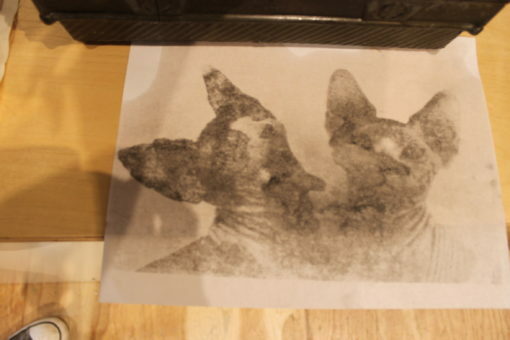 The results were pretty cool – it’s neat to see a photograph transferred to fabric. We always have our circuit blocks out for the kids to explore. Who doesn’t like exploring circuits while eating pizza? I also helped the kids take apart a broken DVD player. 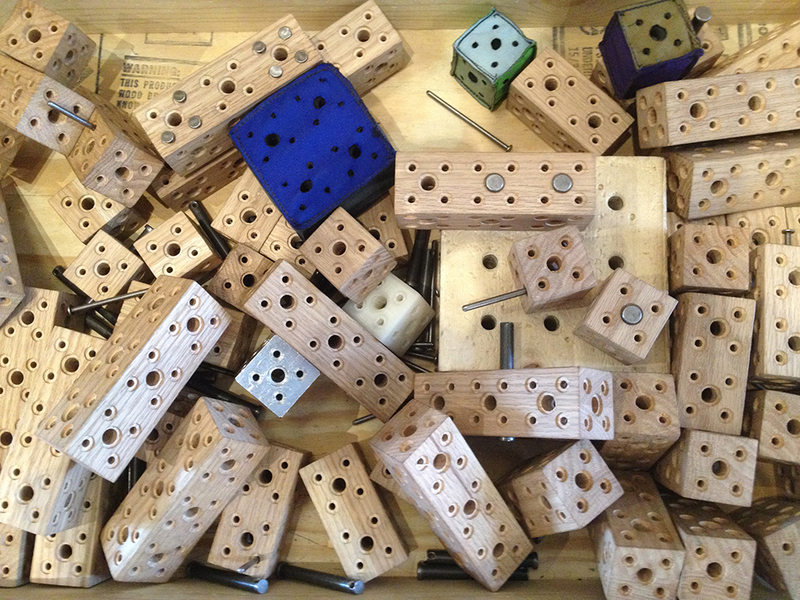 We found some cool working parts that will probably become new circuit blocks in the future. 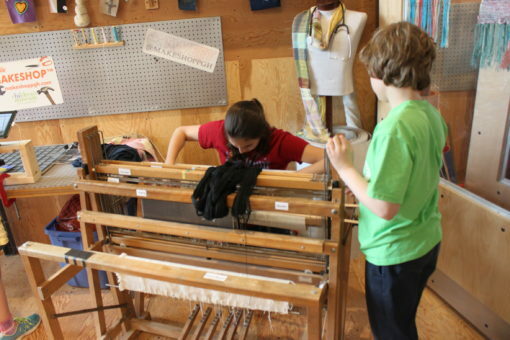 Sewing is always a popular activity at Youth Maker Nights. With Mother’s Day only two away, a lot of presents were sewn. 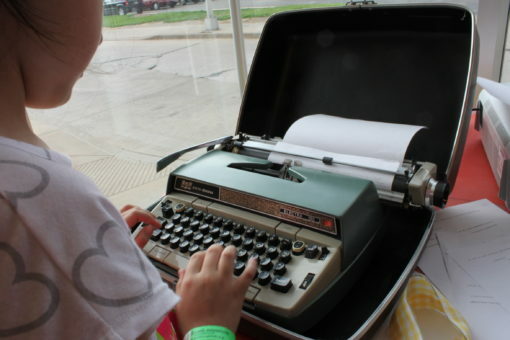 There were also a couple of typewriters out for the kids to explore. Older technology is a lot of fun to introduce to kids, they typed some really funny messages. I was asked by several kids how to delete a spelling mistake. Finally, one of the kids (featured in another post) wanted to help prep the loom. He already has some experience in working and fixing the loom. Youth Maker Nights are always fun and always a little unpredictable. I really enjoy the atmosphere. 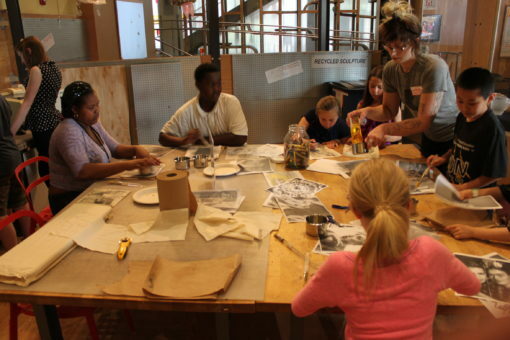 Check out our Museum calendar for dates of the upcoming Youth Maker Nights.